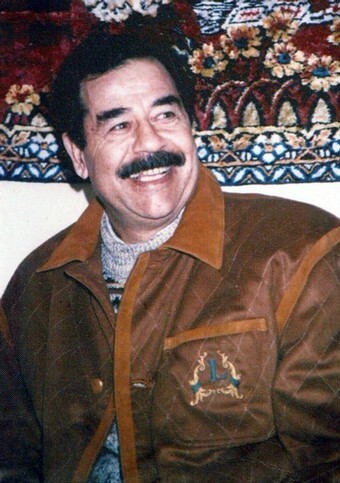 He may be better known for his brutal dictatorship, his oil, or maybe even his epic beard (in his later, more underground years), but for me Saddam always had the perfect mustache. It went long past the edge of his lips and could completely conceal his entire mouth, if needed. And I'm sure he found a reason.